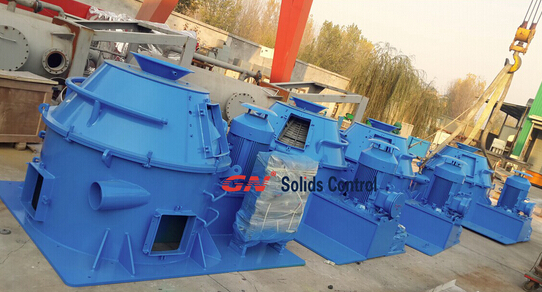 GN Solids Control, as China leading solids control & waste management equipment supplier, is the first company to enter international oil drilling market. After over 5 years growth and market experience accumulation, GN got one big order from Baker Hughes, which is one of the world’s largest oilfield services companies. The person is from Baker Hughes Russia region. Actually before that, we have some customer from Russia who have cooperated with GN many years and they have some jobsite available. After Baker Hughes people check GN equipment jobsite, then they come to China and visit our headquarter close to Beijing. The production capacity and management is impressed; the centrifuge and vertical cuttings dryer ( VG Dryer) in stock is also interesting. After two days depth of negotiation, Baker Hughes appreciate GN professional on solids control & waste management, then release Purchase Order of 4 sets Decanter Centrifuge with VG dryer. The centrifuge is GNLW363BG-VFD model with VFD control panel and touch screen operation. This centrifuge is also the most popular model, annual sales amount over 150 sets to over 60 countries and areas all over the world. GNLW363BG-VFD with extensive application can be used for solids control ( barite recovery, mud weight cutting) and also drilling waste management ( remove fine solids from drilling cuttings) and also waste water treatment. VG Dryer is new product for China manufacturer. 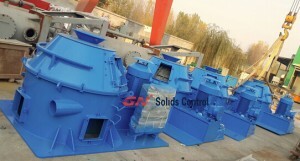 GN Solids Control is the first company who do R & D on it. After first generation and second generation VG dryer, now GN win many market with third generation VG dryer. Many customer shift to GN from Swaco Dryer and SCI Dryer. GN VG dryer can be used for both water based mud and oil based mud.